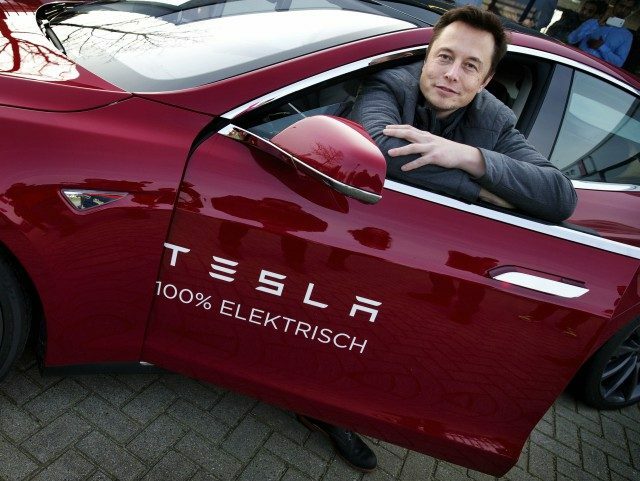 Tesla (NASDAQ:TSLA) stock has fallen by over 10 percent in the last two weeks, and about 20 percent, or about $12 billion, in the last three months as Wall Street analysts have slashed sales and earnings estimates. Those cuts have come despite Musk promising a string of new vehicle projects that include a Tesla all-electric semi-truck and a second-generation Roadster. Musk tweeted a week ago that Tesla was rated as having the highest customer satisfaction of any vehicle in America, and later promised the company would soon produce new all-electric Model Y cross-overs and full-size pick-up trucks. But Musk has been silent about Consumer Reports rating Tesla’s Model X as the absolute least reliable vehicle made. Tesla stock fell by over 1 percent on Dec. 29 after KeyBanc Analyst Brad Erickson lowered his earnings estimate and rating on Tesla on the morning of Dec. 29, based on the company tracking in the December quarter to deliver only 5,000 Model 3 units, versus the revised 15,000-unit guidance in November, which was down from a July guidance of 80,000 units. Erickson’s estimate cuts didn’t change his financial projections much. He cut his quarterly revenue estimate by $370 million to $2.87 billion, but his expected loss per share was cut by 3 cents to $1.98. He also slashed 2018 revenue projections by almost $4 billion to $16.21 billion, based on 108,000 Model 3 deliveries versus his prior estimate of 300,000. With Tesla stock at its all-time high of $385 a share in July, Musk acknowledged that Tesla was about to enter “production hell” in order to meet the Model 3’s demands. But the stock began crashing in October when the company revealed that it had only produced 260 Model 3s, over 80 percent fewer than the promised 1,500. Wall Street traders have been increasing their short selling of Tesla’s 167 million shares outstanding in hopes for the stock to continue to crash. With the “short interest” at 32.3 million shares, or about 20 percent sold short, Tesla is now in the top ten shorted stocks. The biggest Wall Street bear on the future of Tesla has been Seeking Alpha’s Montana Skeptic, who kicked-off Tesla latest decline on Dec. 26 by suggesting that 1) Tesla’s mix for Model S and X sales has been toward cheaper priced units; 2) the resulting lower average sales price will mean 2.2 percent lower gross margins as sales prices for premium equipped units must be slashed; 3) lower deliveries and prices mean at least 1 percent higher percentage operating costs; 4) resulting lower cash flow will cause working capital interest rate costs to jump to a junk-bond 10 percent; 5) By making fewer money-losing cars, Tesla will actually save some money. The Skeptic projects that Tesla automotive revenues for the December quarter will be a record $2.5 billion, but record cost of goods sold, plus record SG&A expenses, will cause a record adjusted net loss of $655 million, or a record $3.87 per-share loss. Although Montana Skeptic sees Tesla as structurally bankrupt, he believes that Musk will soon dilute shareholders by selling another $5 billion of stock at a big discount.